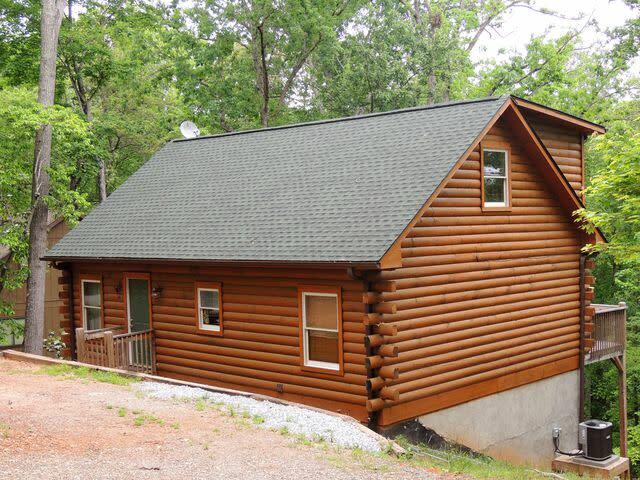 Serenity Now is a new log cabin located in Lake Lure Village Resort. This home has a wonderful open floor plan on the main level. A combination living/dining area features cathedral ceilings, hardwood floors, comfy furnishings, high-top table & chairs & sliding glass doors onto the large deck. Just off of the living/dining area is a fully equipped, open kitchen surrounded by a wooden bar. Also on the main level, is a queen bedroom w/adjoining full bath with shower & the laundry area. The upstairs loft is also open, and has a queen sleeper sofa & a separate "nook" with a queen air mattress. The 2nd full bath with shower is on this level as well. . A large deck crosses the entire front of the home. 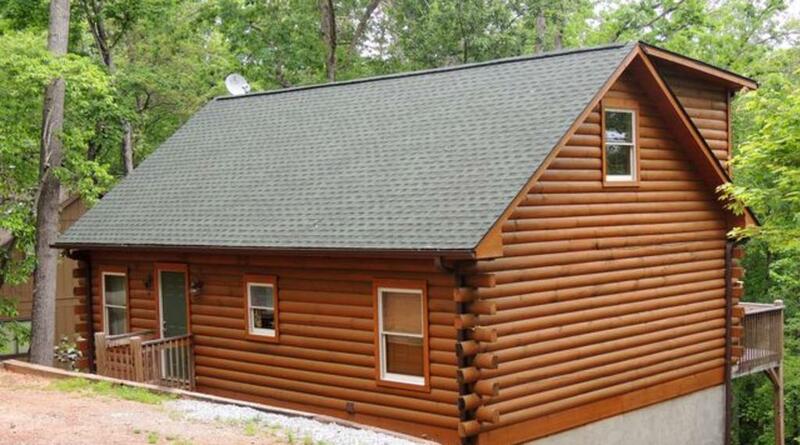 Great outdoor furnishings & a nice big gas grill complete this great vacation cabin. Your family or group will enjoy the privacy that comes with being in the mountains, coupled with all the amenities in Lake Lure Village Resort- private lake access, marina, hiking trails, waterfalls & more. *Wi-Fi is not available in this home, as the owners want to offer a place for families to "unplug " and reconnect with each other. So...come on; dive in to a week or a weekend away from it all!!! And...just 2.5 miles to downtown Lake Lure & the Village of Chimney Rock, where you’ll find boat tours, gem mining, old time photos, Mini-Golf on the river, shopping, restaurants, ice cream shoppe, and Chimney Rock @ Chimney Rock State Park.